AUSTIN, TEXAS (Janaury 31, 2009) The No. 35 TCU men’s tennis team earned its first victory of the season Saturday over No. 28 South Florida in the opening match of the ITA Kick-Off Weekend at Texas’ Penick-Allison Tennis Center. Frogs either had won or owned leads in all but one match during afternoon’s end while evening their season dual record at 1-1. The squad advanced to a Sunday afternoon meeting with No. 2 Texas in a match that will determine which squad advances to the ITA National Team Indoor Championships in Chicago Feb. 13-16. The Frogs won the first two doubles matches to take a quick 1-0 lead thanks to an 8-4 decision by Emanuel Brighiu and Adrian Simon over USF’s Wael Kilani and Romain DeRidder and an 8-2 victory by the pairing of Jack Seider and Zach Nichols over Yannick Yoshizawa and Mohmoud Hamed. Kilani and DeRidder entered the weekend ranked as the nation’s No. 58 doubles pair by the ITA. Kriegler Brink and Christopher Price’s doubles match went unfinished with the pair owning a comfortable 7-3 lead over South Florida’s Lucas Jovita and Thomas Estrada, who appear at No. 15 in the ITA rankings. TCU earned wins at the No. 2 through 4 singles positions to clinch the team victory. Brink and Nichols posted straight-set decisions over Mahmoud Hamed (6-2, 6-3) and Romain DeRidder (6-3, 6-4), respectively, while newcomer Slah Mbarek’s three-set win over Wael Kilani (6-4, 3-6, 6-2) moved TCU on to Sunday’s championship meeting with the Longhorns. Also leading at the time the team match was clinched was the 93rd-ranked Brighiu over the 27th-rated Jovita (4-6, 6-3, 5-2) and the 110th-ranked Simon over Jamal Adderley, 6-7, 6-1, 4-1. TCU’s impressive team win was a marked improvement over its season-opening loss at No. 24 Rice. Frog Head Coach Dave Borelli was pleased with the effort put forth by his squad in its second outing. “I thought our service game was much better today than it was in our first match, and we also seemed to get much stronger as the match went along today,” Borelli said. “Our guys have been working hard, and I really believe that we are in excellent shape. We also played with a lot more fire today that we did in that first match. TCU and Texas take to the court Sunday at 2 p.m. with the winner becoming one of 15 teams that will advance to the Team Indoor Championships. Owls Clash With Pirates Saturday at 1 p.m.
HOUSTON, TEXAS (January 30, 2009) Rice wraps up a week-long home stand and will look to snap a four-game losing streak Saturday as the Owls take on East Carolina in Tudor Fieldhouse Saturday afternoon. Tip-off for Saturday’s game is 1 p.m. and will be broadcast locally by ESPN 97.5 The Ticket. Rice saw its losing streak go to four games as Tulane’s Kevin Sims beat the final horn with a driving layup to give the Green Wave a 61-59 win over the Owls Wednesday. East Carolina, 10-9 and 2-4, has lost eight of its last 10 games. The Pirates won on the road at SMU a week ago, 80-74, but is coming off an 85-64 homecourt loss to Memphis earlier this week. Rice senior guard Rodney Foster scored 11 points, had six assists and four rebounds before being sidelined with a sprained ankle with 13 minutes to play Wednesday against Tulane. Foster’s status for Saturday will be a game-time decision. Foster is the only Rice player to be scoring in double figures. He is averaging 10.2 points per game. His 4.05 assists per game (81 total) ranks seventh in Conference USA. Rice senior forward moved back into a starting role for the first time since early December and responded with a career-high equaling 15 points against Tulane earlier in the week. Perka made his first seven field goal attempts. Three of East Carolina’s starters are averaging double figures, led by senior guard Sam Hinnant’s 15.2 points per game. Senior James Legan averages 12.8 oints while sophomore point guard Brock Young is averaging 10.9 points and leads Conference USA with an 8.16 assist average (155 total). The other ECU player to be scoring in double figures is freshman Darrius Morrow who averages 10.2 points and a team-leading 7.3 rebounds. Morrow has played in all 19 games and averages 27 minutes of playing time while coming off the bench in all but three games. Legan is shooting 45.7 percent from three-point range (58-127) to lead Conference USA. As a team, ECU averages 8.37 treys per game which is also tops in C-USA. Rice made five-of-9 three-pointers in Wednesday’s game to raise its three-point percentage to .368. Rice ranks second in Conference USA in three-point percentage and fourth in the league in three-pointers made at 6.45 an outing. While Rice is among the league leaders in three-point shooting, the team struggles with a .411 overall shooting percentage which ranks 11th in the league. AMARILLO, TEXAS (January 29, 2009) TCU junior women's tennis player Nina Munch-Soegaard was named the 2008 Tennis Athlete of the Year, as recognized by the Texas Panhandle Sports Hall of Fame. Munch-Soegaard was one of eight athletes with roots in the Panhandle area to be named a player of the year. recognized as a part of it." as high as No. 55 in the ITA national rankings. Intercollegiate Indoor Championships and enters the 2009 dual season ranked No. HOUSTON, TEXAS (January 28, 2009) Kevin Sims drove baseline to baseline for a layup that beat the final horn as Tulane defeated Rice 61-59 Wednesday in Tudor Fieldhouse. Tulane came back from a 39-25 halftime deficit to defeat the Owls, sweep a home-and-home Conference USA series and improve to 9-10 and 3-3 league play. Rice has now lost its last four in dropping to 6-14 and 1-5. Sims’ game-winning basket came after teammate Robinson Louisme rebounded a missed free throw by Rice’s Aleks Perka and the Green Wave called timeout with five seconds to play. Perka had tied the game at 59-59 with the first of two at the free throw line with six seconds on the clock. The Rice senior had made his first seven field goal attempts and equaled a career high with 15 points. He stepped to the free throw line with a chance to put the Owls in front after he went up for a shot in the paint and was fouled by Eric Vianney. Rice didn’t make a field goal in nearly the last 10 minutes of the game. The Owls’ last lead came with over six minutes on the clock. Tulane’s Kris Richard gave Tulane a 54-53 lead with 6:05 to play when he converted a three-point play. He would make a pair of free throws to cap the Green Wave’s next possession and Tulane went on to lead by as many as five, 58-53. Lawrence Ghoram then made five of seven free throws during a one stretch of time. He made the first of two free throw attempts to tie the game at 58-58 with 1:35 to play. Nate Schwarze rebounded Ghoram’s miss of the second shot but after a Rice timeout, Connor Frizzelle missed a jumper that would have given the Owls the lead. The shot clock sounded as Richard rebounded the ball. He was able to get out in front of the Rice defense, driving the length of the court before being fouled by Perka with 21 seconds remaining. Richard made the first of two free throw attempts to put the Green Wave back out in front, 59-58. To begin the game, Rice made eight of its first 10 field goal attempts and built as much as a 19-point lead in the opening half. Cory Pflieger and Bryan Beasley both made three-pointers during a 12-0 run that put the Owls out in front, 30-11 with 8:16 to play in the period. Rice played the final 13 minutes of the game without senior guard Rodney Foster who sprained his ankle. In 20 minutes of action Foster had scored 11 points on 4-for-5 shooting, dished out six assists and pulled down four rebounds. At the time of his injury, Rice was leading 48-40. Richard came off the bench to score 17 points for Tulane. He also had six rebounds, three assists and two steals. Sims scored 14 points while Louisme had 11 points and seven rebounds. Rice returns to action Saturday when the Owls play host to East Carolina. Game time is set for 1 p.m. Tulane plays host to UCF on Saturday. HOUSTON, TEXAS (January 28, 2009) – The Houston Dynamo announced their 2009 Major League Soccer schedule today. The Dynamo’s 30-game regular-season schedule includes 15 home games at Robertson Stadium and 15 road games. The Dynamo’s MLS season opens in Houston on Saturday, March 21, when the Dynamo host defending MLS Cup champion Columbus at 7 p.m. The Dynamo will conclude their home MLS schedule against the Los Angeles Galaxy on Sunday, October 18, at 2 p.m.
Of the Dynamo’s 15 home games, 14 come on the weekend, with the nationally televised June 10 match against Chivas USA falling on a Wednesday. The schedule features one home game and one away game against every MLS team, plus one extra game each against rival FC Dallas (away) and Real Salt Lake (home). As a special ticket offer for the 2009 season, the Dynamo are offering a 15-game, MLS-only ticket package for just $10 per game. Fans purchasing this package will receive tickets to each league home game. In addition to their MLS schedule, the Dynamo will participate in three other competitions in 2009. They are the only United States team qualified for the elimination round of the 2008-09 CONCACAF Champions League, which begins Tuesday, February 24. In the summer months, the Dynamo will compete in the Lamar Hunt U.S. Open Cup. The Dynamo have also qualified for the group stage of the 2009-10 CONCACAF Champions League and will begin group play in August. The Houston Dynamo are a Major League Soccer franchise that has won two MLS Cup championships in its first three seasons and represented the United States in three consecutive regional championships. The Dynamo will begin their 2009 MLS campaign on Saturday, March 21, taking on the defending MLS Cup champion Columbus Crew. Their 2009 season opens with CONCACAF Champions League play on Tuesday, February 24 at 9:00 p.m. For more information, please log on to www.HoustonDynamo.com or call (713) 276-7500. HOUSTON, TEXAS (Janaury 27, 2009) Rice volleyball held its annual awards banquet Tuesday evening and celebrated the program's second-ever NCAA appearance. Senior Karyn Morgan earned the most improved award and most valuable player award as voted upon by her teammates. The team also selected freshman Ashleigh McCord as the team's newcomer award winner, and senior Jessica Holderness was honored with the team's commitment award. Junior Jessie Boulavsky earned the scholar-athlete award as sporting the highest grade point average on the team at 4.052 on a 4.00 scale. Morgan, a senior outside hitter from Bellaire, Texas, led the Owls in 2008 in total kills (381) and kills per set (3.50). She also was second on the team in digs with 331. Morgan concluded her career at Rice with 1,372 kills which ranks fifth all-time at Rice and she also had 1,242 digs which is fourth-best in school history. She is only the sixth Owl ever to have over 1,000+ kills and 1,000+ digs. Morgan was also selected to the 2008 All-Conference USA first team. Holderness was a repeating All-C-USA second team honoree. The 5-11 outside hitter ranks 13th and 15th in C-USA in kills (2.92) and digs (3.17) per set, respectively. She also owned 11 double-doubles on the season. Owning a C-USA freshman best in hitting accuracy (.302) and kills (3.10) per set, McCord was the sixth Owl honored with an All-Freshman team selection. McCord also accounted for 3.32 points per set. In 2008, the Owls, under head coach Genny Volpe, racked up 23 victories against only 7 losses while earning only their second-ever NCAA appearance. Rice returns four starters as well as Tracey Lam, the team's libéro, for the 2009 season. NACOGDOCHES, TEXAS (Janaury 26, 2009) The Stephen F. Austin men’s basketball program will host a regular-season tournament for the first time in 33 years, when SFA puts on the inaugural Etech Lumberjack Classic in December. The tournament will feature the Lumberjacks and three visiting teams in a set, four-game schedule played over two days. The tournament is set for Friday, Dec. 4, and Saturday, Dec. 5. SFA has already secured commitments from the Southwestern Athletic Conference’s Southern University and Southland Conference foe Central Arkansas. A fourth team will be announced at a later date, at which time the final tournament schedule will be unveiled. SFA’s William R. Johnson Coliseum has been host to numerous conference, regional and national post-season tournament games. But next season’s Etech Lumberjack Classic will mark the first regular-season event since the 1976-77 Tall Pines Classic. Prior to that, the only regular-season tournament on record at SFA is the Stephen F. Austin Tournament, played in the 1963-64 season. Both tournaments were put together under the direction of former Lumberjack coach Marshall Brown, the program’s winningest head coach. SFA is undefeated in its three previous home, regular-season tournament endeavors. The ’Jacks — then an NAIA program — knocked off Louisiana College and McMurry College in the Stephen F. Austin Tournament in 1963. In the inaugural Tall Pines Classic in 1975, SFA defeated Ouachita Baptist and Cameron (Okla.) to take the championship. The following season, SFA defended its title, notching wins over Louisiana College and St. Mary’s. The Lumberjack Classic is possible thanks to a partnership with Etech. Etech specializes in business process solutions. The company has multiple branches in East Texas and India and a client list that includes numerous Fortune 500 customers. Based in Nacogdoches, Etech is the third-largest employer in the region. The Nacogdoches branch alone employs more than 400 East Texans. Nacogdoches resident Matt Rocco has served as Etech’s Chief Operating Officer since 2003. A former collegiate letterwinner in both baseball and basketball at Dickinson College, Rocco is an ardent supporter of SFA athletics. “Etech and Matt Rocco are doing Lumberjack basketball a great favor by sponsoring the Lumberjack Classic,” Kaspar said. down Zidek by a score of 7-5, 6-0.
ranked opponent, toppling Acharya, 7-6, 6-3.
match and ending the afternoon, 6-1, 4-6, 6-4. ITA National Team Indoor Championships in Atlanta, Ga.
HOUSTON, TEXAS (Janaury 25, 2009) Southern Miss (12-7, 5-1) placed four players in double-figures en route to defeating Rice 65-50 in Tudor Fieldhouse. The Owls (5-14, 0-6) were led in scoring by Megan Elliott (16 points) and Maudess Fulton (15 points). The Golden Eagles were led by Pauline Love’s 16 points and 11 rebounds, while Stephanie Helgeson and Andrea Barber each scored 15. Tanesha Washington added 10. Southern Miss held an 11-point lead with 6:36 left in the first-half, but would not score a point until the second-half as Rice erupted for a 9-0 run that was ignited by a Melissa Wittmayer who blocked a shot on the defensive end and then scored down low on the ensuing possession. Emery Carter scored on back-to-back trips, the first on a nice feed from Maudess Fulton, to bring the Owls to within one at 34-33 at 15:51. Helgeson then converted a three-point to give USM breathing room, which became the first three points of an 11-0 Golden Eagle run that quelched the Rice rally. Southern Miss eventually increased its lead to 19 (59 to 40) before the Owls scored the next eight points to make it 59-48. The Owls now play at Tulsa on Thursday, Jan. 29 (7 p.m.) and at SMU on Saturday, Jan. 31 at 2 p.m.
TUCSON, ARIZONA (January 23, 2009) Fresh off a dominating win, the University of Houston men's basketball team returns to action at 5 p.m. (CST), Saturday, when it meets Arizona inside the McKale Center. The Cougars (12-4, 3-1 C-USA) face the Wildcats for the fourth straight season in their final regular-season non-conference game. UH enters Saturday's game on the heels of an impressive 85-67 win against Conference USA rival East Carolina on Wednesday inside Hofheinz Pavilion. That win, combined with losses by C-USA rivals Tulsa, UTEP and Southern Miss, pushed the Cougars into sole possession of second place in the league, trailing only No. 22 Memphis. This season, junior guard Kelvin Lewis leads the Cougars with 19.8 points per game to rank among the C-USA top-five individual leaders, while junior guard Aubrey Coleman stands among the C-USA top-seven individual leaders with 18.4 points and 7.9 rebounds per game, making him the only player in the league to stand that high in both categories. Senior center Marcus Cousin leads the Cougars and ranks among the C-USA top-three leaders with 9.2 rebounds per game, while freshman point guard Desmond Wade has dished out a team-high 69 assists with only 26 turnovers through the first 16 games of his collegiate career. The Cougars claimed their 12th victory through their first 16 games, tying for the 13th fastest rate to reach that many wins. Of the 17 teams in UH history that won 12 of their first 16 games, 16 competed in the postseason with 13 earning NCAA Tournament berths. Cougar Men's Basketball games can be heard live on 790 AM The Sports Animal or on the Internet at UHCougars.com with Tom Franklin calling the play-by-play action. The pregame show is slated to begin 15 minutes before tip-off. In addition, Saturday's game will be televised live on Fox Sports Arizona (DirecTV channel 686/Dish Network channel 415) with Dave Sitton calling the play-by-play, Bob Elliott providing analysis and Sean Mooney as the sideline reporter. Fans can follow the play-by-play action by clicking the GameTracker link at UHCougars.com. For the fourth consecutive season, the Cougars will meet Arizona on the basketball court. Through 10 games, the series is tied at 5-5 with the Wildcats bringing a two-game winning streak against UH into Saturday's game. In addition, Arizona has won four of the last five games against the Cougars. The series began on Dec. 22, 1967, but has been played once every year since the 2005-06 campaign. A year ago, the Wildcats enjoyed an 85-71 win in Houston behind Jerryd Bayless' 33 points. The Cougars are 1-3 (.250) against the Wildcats in Tucson during the series history and will be looking to snap a three-game road losing streak against Arizona. UH has not won in Tucson since an 81-76 decision on Dec. 22, 1967, in the first game of the series. Arizona comes into this weekend's game following a 53-47 loss to Pac-10- and state-rival Arizona State on Wednesday in the McKale Center. Saturday's game will be the second game in a season-long four-game homestand for the Wildcats, who have posted an 8-2 (.800) record in home games this season. Against the Sun Devils, junior forward Jordan Hill posted 16 points and a game-high 15 rebounds to lead the Wildcats in both categories. Forward Chase Budinger added 14 points and eight rebounds in the loss. This season, Hill leads the Wildcats with 17.7 points and 11.6 rebounds per game. Budinger is a close second on the scoring list with 17.1 points per contest. Russ Pennell is in his first season as the head coach at Arizona, posting an 11-8 career record. Saturday's game will be his first meeting against Houston. Following the Arizona game, the Cougars return to the friendly confines of Hofheinz Pavilion to play host to Conference USA rival UTEP, at 7 p.m., Wednesday. The Cougars enjoyed a 94-86 win over the Miners on Jan. 14, the program's first win in El Paso. CHARLOTTESVILLE, Virginia (January 24, 2009) The No. 25 TCU women's tennis team dropped a hard-fought 4-3 decision to No. 41 Virginia Saturday at the Boyd Tinsley Tennis Courts. The loss dropped the Horned Frogs to 0-1 overall, while the Cavaliers improved to 2-0 on the season. The Frogs had a rough start to the day, falling in all three doubles matches. match against Lindsey Hardenbergh and Maggie Yahner by a score of 8-4.
doubles, but it would have been tough to beat them regardless today." TCU bounced back in singles action, taking two of the first three matches. singles win of the spring with a 6-2, 2-6, 6-4 decision over Yahner from the No. Mastromarino by a score of 7-6(5), 4-6, 2-6.
forward to getting back on the court." William & Mary in Williamsburg. TUCSON, ARIZONA (January 23, 2009) Fresh off a dominating win, the University of Houston men's basketball team returns to action at 5 p.m. (CST), Saturday, when it meets Arizona inside the McKale Center. The Cougars (12-4, 3-1 C-USA) face the Wildcats for the fourth straight season in their final regular-season non-conference game. UH enters Saturday's game on the heels of an impressive 85-67 win against Conference USA rival East Carolina on Wednesday inside Hofheinz Pavilion. That win, combined with losses by C-USA rivals Tulsa, UTEP and Southern Miss, pushed the Cougars into sole possession of second place in the league, trailing only No. 22 Memphis. This season, junior guard Kelvin Lewis leads the Cougars with 19.8 points per game to rank among the C-USA top-five individual leaders, while junior guard Aubrey Coleman stands among the C-USA top-seven individual leaders with 18.4 points and 7.9 rebounds per game, making him the only player in the league to stand that high in both categories. Senior center Marcus Cousin leads the Cougars and ranks among the C-USA top-three leaders with 9.2 rebounds per game, while freshman point guard Desmond Wade has dished out a team-high 69 assists with only 26 turnovers through the first 16 games of his collegiate career. The Cougars claimed their 12th victory through their first 16 games, tying for the 13th fastest rate to reach that many wins. Of the 17 teams in UH history that won 12 of their first 16 games, 16 competed in the postseason with 13 earning NCAA Tournament berths. Fans can purchase their tickets by calling 713-GO-COOGS or by stopping by the Athletics Ticket Office in the Athletics/Alumni Center during regular business hours, Monday through Friday. Fans always can purchase tickets by visiting UHCougars.com and clicking on the Tickets links. HOUSTON, TEXAS (January 22, 2009) The 33rd-ranked TCU men’s tennis team dropped a 5-2decision to No. 24 Rice in its season opener Wednesday at the Owls’ Hess Tennis Center. Rice, playing its fifth team match of the spring after opening its season last week, remained undefeated at 5-0 on the season. Two Horned Frogs opened spring play with singles wins. Sophomore Emanuel Brighiu, ranked 93rd prior to the spring season by the Intercollegiate Tennis Association (ITA), earned a three-set victory, 6-1, 4-6, 7-5, over Rice’s Bruno Rosa, who was rated 26th nationally. The win marked Brighiu’s second of the year over a ranked opponent, as he downed then-No. 63 Sinisa Markovic of Texas Tech back in fall tournament action. Another ranked Horned Frog, junior Kriegler Brink (No. 97), recorded a straight-sets win while playing in the No. 3 position, 6-1, 7-5, over Chong Wang. Brink improved to 42-17 all-time in his career in dual matches. Four other Frogs in singles action dropped their first matches of the spring. better at No. 4 through 6 singles, as well as in doubles. SAN MARCOS, TEXAS (Janaury 21, 2009) The Texas State men’s basketball team looks to win its eighth home game this season when the Bobcats play host to intrastate rival Sam Houston State in the annual “Stuff Strahan Night” on Wednesday, January 21 at 7:00 p.m. in Strahan Coliseum. There will be 1,000 T-Shirts given away with special pregame music provided by Hip Hop Congress. In addition, Texas State’s Southland Conference football, soccer and volleyball teams will be honored in a special halftime recognition. This also will be the first home game for Texas State students to begin their Promise of Pride Rewards Program’s Hardwood Edition in which Texas State students can earn points to win prizes by attending home games throughout the remainder of 2008-09 season. The Greek Attendance Challenge will also begins with Wednesday night’s game. On the court, the Bobcats enter the game looking to improve their overall record to 9-8 and even their Southland Conference mark to 2-2 following a 77-72 at Central Arkansas last Saturday afternoon in Conway, Ark. Texas State won its only SLC home game 87-76 against SLC defending champion UT Arlington on Jan. 10. The win over UTA was Texas State’s fifth straight win at home and gives the Bobcats a 7-1 record in home games this season. Sam Houston State enters the game with a 7-8 overall record and the Bearkats are 1-1 in Southland Conference play this season after defeating Southeastern Louisiana 73-62last Saturday in Huntsville. Sam Houston opened league play with a 75-73 loss at Stephen F. Austin on Jan. 10. In a series that began in 1910-11, Texas State enters Wednesday night’s game with a 90-76 series record against Sam Houston State after splitting a pair of games against the Bearkats last season. The Bobcats won a 96-93 overtime decision in San Marcos on Feb. 2 before suffering an 80-74 loss at Huntsville on Mar. 1. Brent Benson leads Texas State with 17.2 points per game. Brandon Bush is averaging 13.9 points and leads Texas State with 6.8 rebounds per game, while John Rybak is averaging 9.5 points per game, and Cameron Johnson chips in with 9.1 points and 4.3 rebounds per game. Ty Gough averages 7.1 points and 4.6 rebounds per contest. Sam Houston State is led by junior college transfer Corey Allmond, who averages 14.3 points overall and 18.0 points in conference play after scoring a career-high 25 points against Southeastern Louisiana. Allmond is shooting 46.9 percent behind the three-point line and 85.2 percent at the free throw line. Another junior guard Ashton Mitchell is averaging 11.9 points and leads the Southland Conference with 7.4 assists per game. Preston Brown, another junior college transfer, is averaging 9.7 points and 5.3 rebounds per game. Senior forward DeLuis Ramirez is averaging 9.4 points and leads the team in rebounding with 6.8 boards per game. Another senior Barkley Falkner joins Allmond as the only Bearkats who have started every game this season. Falkner is averaging 5.6 points and 6.1 rebounds per game. AUSTIN, TEXAS (January 20, 2009) After incorporating input from race participants and the city's residents, the 2009 Austin Marathon and Half Marathon course is official. Race organizers focused on maintaining the integrity of the course by keeping the race in the central city and giving runners a tour of Austin's most scenic neighborhoods, while easing community concerns about major traffic roadblocks. "This year's improvements assure the race is enjoyable and exciting for both participants and the Austin community," said Race Director John Conley. "We concentrate on providing the challenging and unique course that runners expect when they choose to run this marathon." The 2009 Austin Marathon and Half Marathon registration continues to follow the growth trends of the past several years. Registration for both races is up more than 12 percent compared to numbers from the record-setting, sold-out 2008 race. Since its first race in 1992, the Austin Marathon has grown to become the 15th largest in the United States, attracting more than 12,000 runners and 30,000 spectators to the city of Austin each year and generating more than $5.5 million for the local economy. The goal of the event has always been to organize a world-class marathon that unites the community, brings national attention to the region, promotes health and fitness, and serves as a fundraising engine for both local and national charities. The 2009 Austin Marathon and Half Marathon will be held Feb. 15. http://www.austinmarathon.com. IRVING, TEXAS (January 19, 2009) Conference USa has announcemd their Players of the Week. Williams poured in a game-high 22 points while pulling down nine rebounds to help lead UTEP to a 73-60 win at Tulane on ESPN2. The junior scored 16 of those points in the first half, including six during a 9-2 spurt by the Miners to erase a seven-point deficit (27-20) with 5:30 in the first half. Williams nailed four of UTEP’s 11 3-pointers on the day. She had entered the game with five 3-pointers on the year. This is William’s first Player of the Week honor. Handy averaged 18.5 points, 3.5 rebounds, 6.0 assists and 2.0 steals per game last week. She also shot a sizzling 73.9 percent from the field, hitting 17-of-23 shots, as Marshall went 1-1. After scoring 12 points and recording six assists, four rebounds and three steals against West Virginia on Wednesday, Handy netted a career-high 25 points against East Carolina Sunday. She hit a career-best 11-of-13 field goals for an impressive 84.6 accuracy. For the second consecutive game the guard dished out six assists and grabbed three offensive boards. Green scored 18 points- all in the second half- to help spur UTEP to a 73-60 win at Tulane on ESPN2. She sparked a 15-7 run which resulted in a 44-37 advantage, after trailing the Green Wave, 30-29, early in the second half. UTEP would not trail from that point on. Overall, Green poured in 16 of the Miners’ initial 18 points in the second stanza. Twelve of her points came on 3-pointers, as she finished a perfect 4-of-4 from beyond the arc. This is Green’s first Rookie of the Week honor but UTEP’s second-straight week of claiming the honor. HOUSTON, TEXAS (Janaury 18, 2009) Athens Olympic silver medalist Meb Keflezighi made an early move to stake his claim on the men's title Sunday at the USA Half Marathon Championships in Houston, Texas, running 1:01:25 for his first U.S. half-marathon championship. 2008 U.S. Olympic marathoner Magdalena Lewy-Boulet won her first ever U.S. championship in 1:11:47. The championships were hosted for the fifth time by the Aramco Houston Half Marathon with more than 100 of the top U.S. men and women joined a record field of 11,000 entrants for the eighth annual event. After passing the first mile in a somewhat relaxed 4:44, Keflezighi and 2008 Olympian Dathan Ritzenhein began to pull away from the field and by two miles Keflezighi had opened a ten meter lead on Ritzenhein. Going through the 5 km mark on American Record pace in 14:07, Keflezighi held an eight-second lead on Ritzenhein. By mile five, Keflezighi had fallen off record pace but had opened a 12 second lead. Reaching 10 miles in 46:27, Keflezighi had extended his lead to 19 seconds but Ritzenhein began to rally and closed the gap to 16 seconds at 11 miles. As Keflezighi started to suffer from tightening hamstrings over the final two miles Ritzenhein continued to close but only managed to get within 10 second at the finish. Former All-American at Stanford University Bret Gotcher ran a personal best by nearly two minutes to finish third in 1:02:09, 12 seconds ahead of his McMillan Elite teammate Andrew Carlson. 2006 Half Marathon champion Brian Sell rounded out the top-five in 1:02:36. In the women's race, Lewy-Boulet took a more patient approach, running in a pack of five women that included 2004 U.S. Olympian and Houston course record holder Colleen De Reuck, two-time Olympian Amy Rudolph, Kelly Jaske, and Desiree Davila. After running with the pack for nine miles, Lewy-Boulet made her move on the field and steadily opened a gap on Jaske who would go on to finish second in 1:12:06. Once again, masters standout De Reuck proved to be a contender in the open division as she finished third in 1:12:36. Davila and Rudolph followed in fourth and fifth, running 1:12:23 and 1:12:34 respectively. HOUSTON, TEXAS (January 18, 2009) The University of Houston swimming and diving team dropped its second-straight dual meet this weekend on Saturday against SMU, 150-87, at the Campus Recreation and Wellness Center Natatorium on the UH campus. The Cougars took home three first place finishes and seven second place finishes in the dual against the Mustangs. UH was led by Anastasia Pozdniakova who finished first in both diving events for the eighth time this season. She took top honors in the 1-meter competition with 350.86 points and was followed in second by Courtney Forcucci with 301.58 points. The duo was the only divers to pass 300 points and Pozdniakova's 350.86 points are the sixth most points scored in a dual meet in school history. Also diving for the Cougars was Jessayln Almond who finished fifth with 267.23 points. In the 3-meter competition, Pozdniakova finished with 296.78 points and Forcucci was second again with 273.00 points. Almond came in fourth with 240.90 points. Also finishing first was Sasha Schwendenwein, who finished with a time of 2:02.60 in the 200-yard butterfly, the ninth fastest time in school history. Other Cougars finishing in the event included Danica Lubbers (fifth, 2:15.91) and Andrea Kells (sixth, 2:17.96). Houston took home second and third place finishes from Kimberley Eeson (10:54.43) and Rachel Holcomb (11:32.94), respectively, in the 1,000-yard freestyle. Schwendenwein added a second place finish of 1:50.28 in the 200-yard freestyle, for the seventh fastest time in school history. She was followed in fifth by Natalie Newcomb (2:02.89) and sixth by Amber Brodeur (2:20.53). Eeson also took home a third place finish of 24.74 in the 50-yard freestyle. Also finishing in the event were Paige Bissett in fifth (25.56), Andrea Kells in sixth (26.64) and Stone in seventh (27.67). Bissett also recorded a third place finish in the 100-yard freestyle and Stone turned in a fourth place finish of 1:00.94. In her third event of the day, Eeson finished second in the 500-yard freestyle, notching a time of 5:14.30. Other Cougars competing in the event included Newcomb in fourth (5:25.59) and Holcomb in fifth (5:43.40). In the 200-yard IM, Andrea Pa'lmai took top honors for the Cougars with a third place finish of 2:08.89, while Lubbers was fifth (2:17.46), Rachel Johnson was seventh (2:25.85) and Bori Juhasz was eighth (2:36.18). Pa'lmai was also second in the 200-yard backstroke with a time of 2:06.47, while Rachel Johnson was fifth (2:24.65) and Brodeur was sixth (2:23.17). Beccy Hillis concluded the individual events at the meet for Houston with a third place finish of 2:27.11 in the 200-yard breaststroke. Newcomb (2:34.46), Rachel Johnson (2:44.64) and Juhasz (2:51.23) finished fourth, seventh and eighth, respectively. In the relay events, the team of Pa'lmai, Hillis, Kells and Schwendenwein finished second in the 200-yard medley relay with a time of 1:51.83 and in the 200-yard freestyle relay, Bissett, Brodeur, Lubbers and Stone finished third with a time of 1:47.23. The Cougars will be back in the pool on Jan. 30-31 in Baton Rouge, La., for the LSU Invitational. Teams scheduled to compete in the meet include, Rice, New Orleans and host, LSU. HOUSTON, TEXAS (January 17, 2009) Lead by Nebraska’s Marlon Lucky 66-yard rushing in the first half, the East took a 17-6 lead of the East in the 84th Annual East-West Shrine Game in Houston, Texas. Lucky wowed the fans at Houston’s Robertson Stadium by rushing for 66 yards on 4 carries leading to one touchdown. Lucky found the end zone with 12:55 remaining in the 2nd quarter. The West came back with a 49 yard field goal by David Buehler (USC) to make the score 7-3 in favor of the East. The East came right back in a little over a minute to score their second touchdown on a 3-yard run by Javarris Williams (Tennessee State). Florida State’s Graham Gano’s conversion was good to allow the East to extend their lead to 14-3. Graham again connected with the uprights with a 24-yard field goal with 2:42 left in the half. The West gained three more points as time ran out on the clock with a 21-yard field goal to make the score 17-6 in favor of the East at the half. Halftime saw a skills competition among area youth and the introduction of the 2009 East-West Shire Game Hall of Fame Inductees. HOUSTON, TEXAS (January 16, 2009) Coming off a fourth-place finish at the 2008 Olympic Marathon in Beijing, Ethiopia's Deriba Merga has committed to attack the long standing Chevron Houston Marathon record this Sunday in the 37th running of the 2009 Chevron Houston Marathon. Merga's performance in China (2:10:21) was part of an impressive year of running for the 28-year-old from Nekemte, Ethiopia. Recently, Merga clocked a personal record and a course record of 59:15 in winning the New Delhi Half Marathon on November 9, 2008. Prior to the Games, he ran a PR of 2:06:38 to finish sixth at the London Marathon in April. Merga is the second-fastest Ethiopian marathoner of all time. Only world record holder Haile Gebrselassie has run faster. 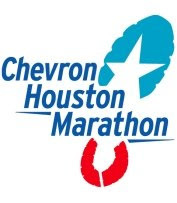 Merga is one of the most talented runners to commit to the Chevron Houston Marathon in the history of the event and with the assistance of two pacesetters, he plans to take aim at Houston's course record of 2:10:04. The course standard is one of the oldest in the sport, set in 1989 by Richard Kaitany (KEN). With Haji Adilo, Merga's coach at his side at today's press conference, they are aiming for a 62 minute first half with 4 pacesetters, training partner Tilahun Regessa (ETH), Gebo Burka (ETH), Festes Langat (KEN),Mindaugas Pukstas (LIT) and Eric Chirchir(KEN). Adilo believes he could easily run under 2.06 and get ready to run the 2009 BAA Boston Marathon heading down the same path as fellow teammate Dire Tune (ETH), who set the Chevron Houston Marathon course record last year and then went on to win the 2008 BAA Boston Marathon 3-months later. Merga who trains in Addis Ababa, normally at a morning runs at 12-15C/54-59F should find the starting temperture of 10C/50F very reasonable as a major cold front has blown all over the US and Canada in recent days. Merga, who felt wonderful in Beijing, was running very comfortable until 30km. As he approached the 37km mark, he had a bad stomach and had to slow down, then being passed on the final lap in the "Birdnest" to lose his Olympic Bronze Medal. Merga, who received the information of the faster Gebrselassie earlier in the day from Dubai, also explained he doesn't like the rain and hopes to run a much more even race with a 62 minute opening half. (KEN), winner of the 2008 Toronto and Prague marathons, and Andrew Smith (CAN) also are scheduled to compete in the marathon. Teyba Erkesso (ETH), Amane Gobena (ETH), Lioudmila Kortchaguina (CAN) and Albina Gallyamova (RUS) will lead the women's marathon field. women's events. A course record is worth a $10,000 bonus. HOUSTON, TEXAS (January 15, 2009) The Rice men's track and field team has been selected to number two i the Conference USA preseason 2009 Indoor Track & Field poll, just behind league favorite Houston. The Owls will need the efforts of 2008 heptathlon gold medalist Phillip Adam and pole vault gold medalist Shea Kearney to fight for the title. Houston returns the 2008 C-USA Male Athlete of the Year in Ivan Diggs. Diggs received All-America honors after capturing a fourth-place finish in the high jump at the 2008 NCAA Championships in Fayetteville, Ark. Selected to finish third on the men's side is UTEP. The Miners used their speed at last year's championship to win the 800-meter, 5,000-meter, 400-meter relay, and the distance medley relay. Senior Dominic Tanui returns for his final year ranked 11th in the 800-meter run by the U.S. Track & Field and Cross Country Coaches Association preseason poll. The 2009 C-USA Indoor Track & Field Championships will take place on Feb. 27-28 at the Yeoman Fieldhouse in Houston, Texas on the campus of the University of Houston. Rice begins the 2009 indoor season at the Leonard Hilton Memorial inside Yeoman Fieldhouse on the University of Houston campus. The single-day event is to begin at 11 a.m. Admission to the meet is $5. The men's and women's weight throw leads off the action at 11 a.m. and will be followed by the shot put, long jump "B" section and the pole vault at 1 p.m. The field events will close with the men's and women's triple jump, which is tentatively scheduled for 6 p.m.
Running events are slated to start at 3 p.m. with the women's 5,000 meter run and will come to a close with the 4X400-meter relays, which are scheduled to begin at 8:20 p.m.
Other schools participating in the event are Houston Baptist, Jackson State, Lamar, Louisiana Tech, Prairie View A&M, Rice, Nicholls St., Sam Houston St., Southern, Southern-New Orleans, Stephen F. Austin, Texas, Texas A&M-Corpus Christi, Texas A&M-Kingsville, Texas Lutheran, Texas Southern, Texas State, UAB, UCF, UT-Arlington, UT-Pan American and UTSA. Live results from the meet can be found by logging on to www.flashresults.com/flashtexas. DALLAS, TEXAS (January 14, 2009) SMU fans can join the Mustang Club and Head Football Coach June Jones to celebrate National Signing Day in Dallas and Houston early next month. on Thurs., Feb. 5, from 6-7:30 p.m.
Debbie Mulvenna at dmulvenna@smu.edu or 214-768-3315. HOUSTON, TEXAS (January 13, 2009) In its first on-campus Conference USA game in more than a year, Rice University plays host to SMU Wednesday. Tip-off is set for 7 p.m. and the game will be broadcast nationally by CBS College as well as carried locally on radio by ESPN 97.5 The Ticket. Rice, which played its entire 2007-08 schedule at various sites around Houston, returned to campus and renovated Tudor Fieldhouse for the 2008-09 season. Wednesday’s game against SMU will be the first Conference USA game played on campus since the Owls played host to Tulsa March 3, 2007 (Tulsa won, 73-65). Both teams will be looking for their first conference win of the season. Rice is coming off a 65-54 road loss at Tulane in its C-USA opener. The Owls are 5-10 overall. SMU opened league play with a 74-68 home-court loss to UTEP. The Mustangs enter the week at 5-8. Rice junior Lawrence Ghoram opened Conference USA play with a season-high 17 points at Tulane. Ghoram was 5-for-10 from the field and made 7-of-8 free throws. The Zachary, La., native is averaging 11 points an outing since moving into the starting lineup three games ago. Both Rodney Foster and Cory Pflieger are averaging 10.7 points per game to lead the Owls in scoring. Pflieger has now gone four games without scoring in double figures. Foster scored 11 points against Tulane after being held scoreless the previous game at Richmond. SMU senior center Bamba Fall has been a defensive specialist for the Mustangs. In addition to leading Conference USA in blocks (34 total for a 2.62 average), Fall ranks fourth in the league with an 8.0 rebounding average. He is also averaging 9.1 points per game. In last week’s 74-68 loss to UTEP, Fall had 14 rebounds and scored eight points in 34 minutes of work. A pair of newcomers lead SMU in scoring. Freshman Paul McCoy leads the team with a 14.3 scoring average. The 5-11 guard is shooting 51.9 percent from the field which ranks fourth in C-USA. JC transfer Derek Williams (Western Texas College) is averaging 11.4 points and leads the team with 49 assists and 17 steals. SMU is 0-4 in road games this season. The Mustangs will be playing on the road for the first time since a 66-55 loss at Northwestern Dec. 23, 2008. SMU and Rice will be meeting for the 189th time. The two teams are 3-3 in Conference USA regular-season games since Rice joined the league three years ago. After Wednesday’s game, Rice continues a home stand Saturday against UCF. SMU plays host to Tulane on Saturday. HUNTSVILLE, TEXAS (Janaury 12, 2009) The Sam Houston State football program has announced the 2009 schedule which is highlighted by a pair of Football Championship Subdivision home games and a trip to take on FBS Tulsa. The Bearkats will open the 2009 slate at home against Western Illinois on Thursday, September 3. It will be the first time the Bearkats and the Leathernecks have played since the 2002 season. The Kats are 4-2-1 all time against Western Illinois including a 3-0 mark at Bowers Stadium. The following weekend Sam Houston will travel take on the Panthers of Prairie View A&M. Despite the fact the two campuses are separated by just 75 miles, this will be only the second meeting between the two FCS schools. The Panthers won the only other contest 14-9 in 1985. The two schools were scheduled to play each other this past season, but the game was cancelled because of Hurricane Ike. On September 19, the Bearkats will welcome North Dakota State to Bowers Stadium in what will also be the second meeting between the two programs. In 2007, the Bearkats and Bison played one of the best games of the year in FCS with North Dakota State winning 41-38 in the Fargo Dome on a last-second touchdown. The Bearkats will step up a level on Sept. 26, to take on Tulsa of the Football Bowl Subdivision for the first time. This past year, the Golden Hurricanes finished the season 11-3 and recorded a 45-13 win over Ball State in the GMAC Bowl. Tulsa had the No. 2 scoring offense in the nation averaging 47.2 points per game. Only Oklahoma scored more. After a bye week, the Bearkats will open Southland Conference play at home against Nicholls State on Oct. 10. The game against the Colonels will also be Homecoming at Bowers Stadium. The Bearkats will then start a tough stretch, playing three of four games on the road, starting with a trip to Hammond, La. to play Southeastern Louisiana. That game will be followed by the “Battle of the Pinewoods” against Stephen F. Austin on Oct. 24. The Bearkats will spend Halloween at home this year when McNeese State visits Bowers Stadium, then the Kats will be back on the road to play Northwestern State the following Saturday. Sam Houston State will play its final home game of the 2009 season on Nov. 14 against Central Arkansas. The regular season will wrap up on Nov. 21 at Texas State-San Marcos. of doubles squads. All eight Frogs were also listed on the ITA Regional rankings. named as the top singles player in the Southwest region. begin the spring schedule ranked fifth in the Southwest Region. third-ranked doubles team in the region, behind squads from LSU and Baylor. Other Frogs included in the regional rankings include freshman Kayla Duncan (No. regional rankings at No. 11, alongside Duncan and Mastromarino at No. 14. Va., on Jan. 24 at 12 p.m.
NACOGDOCHES, TEXAS (Janaury 10, 2009) Matt Kingsley scored 21 points and pulled down seven rebounds to lead Stephen F. Austin to a 75-73 win over Sam Houston State Saturday in the Southland Conference opener for both teams. SFA (9-4, 1-0 SLC) overcame a poor showing at the foul line and a decisive edge in rebounding for the Bearkats by shooting 50 percent from the field and holding Sam Houston to 34.9 percent from the floor. That mark is just off the season-low 33.3-percent effort the Bearkats (6-8, 0-1 SLC) posted in a loss at Texas A&M. Sam Houston went 22-of-23 from the foul line, finishing just short of a season-high for free throws. But it was a missed foul shot that decided the game. Junior guard Girod Adams, playing with a thumb injury on his shooting hand, hit the front end of two free throws to give SFA a 75-73 lead with 12 seconds left. After a missed shot at the other end, sophomore guard Eddie Williams hauled in the rebound and was fouled. Williams went to the stripe with three seconds left and the chance to put his team up by four, but he missed on the first attempt. His second shot was also off, but as it glanced off the side of the rim, Williams dove into a trio of Bearkats scrapping for the rebound, and the loose ball rolled out of bounds in front of the Lumberjack bench as time expired. Williams finished with 14 points on 6-of-11 shooting, all but three of his points coming during a critical second-half surge. Senior Josh Alexander joined Williams and Kingsley in double figures with 16 points. Junior point guard Eric Bell added a season-best 10 points on 3-of-5 shooting, including a 2-for-3 effort from 3-point range. All five SFA starters logged at least 30 minutes in the game. Alexander played all 40 minutes and grabbed a team-leading eight rebounds. Senior forward Nick Shaw and Williams each played 39 minutes. Kingsley played 36, and Bell clocked in at 31. Preston Brown went 3-for-4 from 3-point range and 9-of-9 at the foul line to lead Sam Houston with 22 points. DeLuis Ramirez scored 12 points and pulled down a game-high nine rebounds. SFA led by as many as eight points in the first period, but Sam Houston took a 32-30 lead on a Corey Allmond 3-pointer at the 2:37 mark. The Bearkats led by one with 40 seconds left when Bell sank a leaning jumper in the paint to make it a 37-36 SFA lead. Williams ripped off a steal at the other end, and Kingsley knocked down a jumper to send SFA to halftime with a 39-36 lead. The Lumberjacks held a 20-17 advantage in rebounding and a 9-4 edge in second-chance points at the half, but the Bearkat bench outscored the SFA reserves, 11-0, in the opening period. Only three subs – Adams, Walt Harris and Benson Akpan – entered the game for SFA in the first half as each starter posted at least 18 minutes of action. Sam Houston used an 8-0 run early in the second half to take a 46-41 lead, its largest of the game and first advantage since holding a 4-2 edge in the first half. Williams answered with a steal and a fast-break layup to trim the lead to three, then Kingsley rebounded a Sam Houston miss and was rewarded with a layup and a foul at the other end. He converted the three-point play to tie the score at 46 with 14:44 to play. SFA got the ball back on a player control foul by Barkley Falkner, and Adams knocked down a 3-pointer to give the Lumberjacks some breathing room. SFA eventually led by as many as six down the stretch but could not shake the Bearkats. Sam Houston owned a 24-14 edge in rebounding in the second half and hauled down 10 offensive boards. The Bearkats overcame their 29-percent showing in the second half by outscoring SFA, 15-0, in second-chance points after halftime. Williams was instrumental in keeping the Lumberjacks afloat. He knocked down jumpers on back-to-back possessions to give SFA a 53-47 lead with 13:02 left. When Sam cut the lead to two points at the 11:05 mark, Williams responded with a 3-pointer to make it a 58-53 game. He then answered a Sam Houston tip-in with a jumper at the 8:29 mark to keep the lead at five points. After the Bearkats trimmed the lead to one (63-62) with 4:53 left, Bell canned the second of his two 3-pointers to give SFA a four-point lead. A possession later, Kingsley answered a pair of Ashton Mitchell free throws with a layup to keep the ‘Jacks in front by four, then put SFA up, 70-64, on another layup at the 2:27 mark. After finally missing from the line early in the second period, Sam Houston made 15 straight free throws to end the game, including five after Kingsley’s layup. But Alexander and Bell each knocked down a pair of foul shots down the stretch to keep the Lumberjacks ahead, despite SFA’s failure to convert a field goal over the final 2:27. For the game, SFA outscored the Bearkats, 28-22, in the paint. Despite a 12-10 advantage for Sam in turnovers, the Lumberjacks outscored the Bearkats in points off turnovers, 13-9. SFA also held a 7-0 edge in fast-break points. Shaw finished with eight points, five rebounds and two assists. Williams added six boards and a career-high six assists to his 14 points. Kingsley and Bell each posted four assists, with the quartet of dimes marking a career-best for Kingsley. Adams finished with four points in 10 minutes of work, and Akpan added two points. The Lumberjacks will be back in action Wednesday, when they head to Conway, Ark., to take on Central Arkansas. The game is scheduled for a 7 p.m. tip. EL PASO, TEXAS Janaury 9, 2009) In its first Conference USA game of the season, the Rice Owls lost to UTEP 76-60 at the Don Haskins Center. It was the Miners (8-7, 1-1) fourth win in a row against the Owls (5-9, 0-1). The Owls led at the break 31-28 as they committed a season-low six turnovers, while scoring 9 points off of eight UTEP miscues. It was the seventh game of the year in which Rice has led at the half. But, it was a different story after half-time, one that ended in UTEP's favor. The Miners found another gear in the second-half and outscored Rice by 19 (48 to 29). The Owls did not value possession of the basketball, as UTEP poured in 24 points off of 14 Rice turnovers. UTEP had tallied 0 points off of turnovers in the first-half and it also scored 28 points in the paint in the second-half after only scoring 8 in the first-half. Doing most of the damage for UTEP were Jareica Hughes with a game-high 21 points, 7 assists, 5 rebounds, and 4 steals and Timika Williams who followed with 19 points and 9 boards. The Miners shot 43 percent from the field and narrowly out-rebounded Rice 42 to 38. The Owls were led by Maudess Fulton's 13 points, 9 of which came by way of free throws, and 7 rebounds, while D'Frantz Smart scored 12 points and had a season-high 5 steals. Rice shot 33 percent from the field and made 15 of 16 free throws. Rice now plays at Tulane on Sunday at 2 p.m. in Fogelman Arena on the Tulane campus. SAN MARCOS, TEXAS (January 8, 2009) Larry Dierker, former pitcher, manager and broadcaster with the Houston Astros, will be one of three featured speakers at the 3rd Annual Central Texas Mid-Winter Meeting organized by the Rogers Hornsby Chapter of the Society of American Baseball Research. The meeting begins at 10 a.m. Saturday, Jan. 17, in Room 320 of Old Main on the campus of Texas State University-San Marcos. Dierker is scheduled to speak at 3 p.m. Baseball authors Talmage Boston and Milton Jamail will join Dierker among the list of confirmed speakers during the event. Boston speaks at 10:15 a.m. An attorney in the Dallas office of Winstead Sechrest & Minick P.C., Boston wrote 1939: Baseball’s Tipping Point, which chronicles the pivotal 1939 season during which the Baseball Hall of Fame opened, the Little League was founded and a baseball game was first broadcast on television. It was also Ted Williams' first season and Lou Gehrig's tragic last season. Jamail, an academic trained in Latin American politics, has spent more than 12 years as a Spanish-speaking journalist writing about Latinos and baseball. He speaks at 11 a.m. To write his book, Full Count: Inside Cuban Baseball, he conducted extensive interviews with baseball officials, journalists, players, and fans in Cuba, as well as Cuban players who have defected. He also talked to scouts and front office people from U.S. baseball organizations. The day-long program is expected to last till around 4 p.m. It includes a baseball book exchange and trivia quiz. AUSTIN, TEXAS (January 8, 2009) Former Dallas Cowboy and University of Texas player Chris Duliban has been appointed Head Coach of the Austin Turfcats for its inaugural season in the Southern Indoor Football League, Vice President and General Manager Ronald Oswalt announced today. Joining Duliban as Assistant Coach will be Kerry Cash, another former Longhorn who played with the Indianapolis Colts. Duliban was an all-city running back at Spring Woods High School, but was converted to an outside linebacker at Austin. After "scratching and fighting," Duliban started his senior year and earned second-team All-Southwest Conference honors as well as the D.X. Bible Team Spirit Award in 1985. He was drafted by Tom Landry and the Dallas Cowboys in 1986 in the 12th round (307th overall) and spent a year with the Buffalo Bills in 1988. His coaching career began at Hyde Park Baptist High School in 1996. He earned his first indoor coaching opportunity as the defensive coordinator of the Texas Terminators of the Indoor Professional Football League in 1999. Last season, Duliban served as Head Coach for the Centex Barracudas of the Intense Football League in Belton, Texas. He also guided the team to their first playoff victory in team history versus the Alaska Wild. Cash, a native of San Antonio, Texas, was drafted by Colts in the fifth round of the 1991 NFL Draft. He also played for the Oakland Raiders and Chicago Bears. For more information or get photos for media outlets or to get your 2009 Austin Turfcats season tickets, contact the Turfcats office at (866) 969-TCAT (8228) or visit us at turfcats.com and by electronic mail at roswalt@turfcats.com. NACOGDOCHES, TEXAS (Janaury 7, 2009) When the Stephen F. Austin Lumberjacks square off with rival Sam Houston State Saturday in the Southland Conference opener, it will mark the first basketball broadcast of the 2008-09 year for SLC TV. The contest is scheduled for a 2:05 p.m. tip from the William R. Johnson Coliseum. SLC TV is the Southland Conference’s new television network. Its 12 affiliates cover 25 markets in Arkansas, Louisiana and Texas, and programming also reaches national audiences via Fox College Sports and DirecTV. In the Lufkin/Nacogdoches area, the game can be viewed on MYTX 18 (Suddenlink Cable channel 8 in Nacogdoches and channel 6 in Lufkin). Doug Anderson, who served as play-by-play announcer for the SLC TV network during football season, will have that same assignment for each of the 10 men’s basketball games on the network. Joining him Saturday will be veteran color analyst Jim Haller. In addition, the game will also be streamed live online via SLC Now and SFA All-Access. ESPN 360.com, ESPN's signature broadband sports TV network, will also have live streaming coverage. Rob Meyers will handle the play-by-play online via Yahoo! Sports. Fans in attendance will have the chance to enjoy several promotional opportunities. First, as part of the “Cram the Coliseum” promotion, presented by the Nacogdoches County Chamber of Commerce, fans wishing to attend can pick up free tickets from any Chamber member. Free tickets are also available at the Chamber of Commerce office and the Convention and Visitors Bureau downtown. Additionally, the first 3,000 fans through the gate will get a certificate for a free 6-pack of Coca-Cola, courtesy of Brookshire Brothers. Brookshire Brothers will also give fans the chance to win a $50 gas card. At halftime, Citizens 1st Bank will present the $1,000 Mega-Cash Scramble. The Citizens 1st Bank Show for Dough prize will also be up for grabs Saturday. The largest student group and largest civic group in attendance will each win $200. FORT WORTH, TEXAS (January 7, 2009) TCU held four positions in the pre-spring release of the Intercolleciate Tennis Association’s (ITA) national singles and doubles rankings released Tuesday. The selections helped the Horned Frogs capture the nation’s No. 33 team rating, one spot up from their No. 34 finish in 2007-08. Simon and sophomore Emanuel Brighiu earned a top-12 doubles rating. October to finish off their first-semester competition. Zach Nichols garnered the No. 11 listing. during the fall, tallied an 8-3 record. respectively, in the South Central Regional ratings. NACOGDOCHES, TEXAS (January 6, 2009) A year after leading the Stephen F. Austin Ladyjack softball program to its first NCAA Championships appearance as a Division I program, second-year head coach Gay McNutt has upped the ante for her squad. The Ladyjacks’ 2009 schedule, announced Tuesday, includes 11 non-conference opponents who finished last season with a top-100 RPI and seven NCAA Tournament qualifiers. SFA will open the season on Feb. 6, when it begins play in the Time Warner Cable Texas Invitational. All four participants — SFA, Iowa, Florida State and host team Texas — were NCAA Tournament teams a year ago. SFA’s three opponents in the event all boast 2008 RPIs between 30 and 39. The Ladyjacks follow that three-day tournament with their home opener, a doubleheader against Louisiana-Monroe on Feb. 11. Afterward, SFA will get a non-conference preview of a pair of Southland Conference foes when it plays in the Baylor Getterman Classic. In addition to Baylor, the three-day event features UTSA, Northwestern State, Ole Miss and New Mexico. The Getterman Classic begins on Feb. 13. The Ladyjacks will head to Norman, Okla., on Feb. 18 to take on 2008 NCAA Super Regional qualifier Oklahoma in a doubleheader, then begin SLC play with six straight road games. SFA opens league play on Feb. 24 with a three-game set at Sam Houston State. The Ladyjacks will follow that with a trio of contests at Northwestern State beginning on Feb. 28, before returning briefly to non-conference action. After a March 4 doubleheader at North Texas, SFA begins play in the Texas A&M Aggie Invitational on March 6. The tournament includes Utah, a top-100 RPI team from a year ago, as well as 2008 NCAA Tournament qualifiers Kent State and Louisiana Tech. Host team Texas A&M reached the finals of the 2008 Women’s College World Series and posted a 57-10 record last season. The Ladyjacks resume SLC play on March 14 with the start of a three-game home stand against McNeese State. Non-conference match-ups down the stretch include home dates with Jackson State, Louisiana Tech and Centenary College. SFA concludes the 2009 regular season at home with a three-game series against UTSA beginning on May 2. The 2009 Southland Conference Championships are scheduled for May 8-10 in Lake Charles, La. The Ladyjacks are coming off an impressive 2008 campaign. SFA went 36-25 last season, marking the program’s first winning season since 2000 and posting the program’s third-best win total since joining the Southland Conference. The Ladyjacks also reached the SLC Tournament for the first time since 1990 and went on a three-game tear to win the tourney title from the No. 4 seed position, earning a berth in the NCAA Championships. HOUSTON, TEXAS (January 5, 2009) Rice University’s men’s and women’s basketball teams will both take part in the annual NCAA Basketball Take a Kid to the Game day this month. Area youth (ages 13 and under) are invited to attend the special events and receive a free ticket with an accompanying adult’s purchase of a ticket. The designated women’s game is Sunday, Jan. 18, when Rice plays host to UAB at 2 p.m. in Tudor Fieldhouse. The designated men’s game is Wednesday, Jan. 28 when the Owls take on Tulane at 7 p.m. in Tudor Fieldhouse. Rice University will be hosting two of over 700 games that will be played across the nation as park of the Take a Kid to the Game day program which is in its 12th season. The project is a grass roots initiative that attracts the nation’s youth and encourages adults to take kids to area college basketball games. Tickets for the Take a Kid to the Game will be available on game nights at the Tudor Fieldhouse ticket office. Tickets for the men’s game will be available in the end court seating behind the north goal while tickets for the women’s game will be general admission seating. For more information, contact the ticket office at (713) 522-OWLS. NCAA Basketball is a national sponsor of the Take a Kid to the Game program. To learn about other NCAA Men’s Basketball initiatives, visit the NCAA’s web site for more information. TAKG is a grassroots marketing campaign created by IMG College to encourage alumni and fans to take their kids out to stadiums and arenas to experience intercollegiate athletics. DALLAS, TEXAS (January 5, 2009) The SMU Mustangs and Washington State Cougars have agreed to a home-and-home football series for the 2009 and 2010 seasons, it was announced today. SMU will travel to Pullman on Sept. 19, 2009, while Washington State will head to Dallas on Sept. 18, 2010. The Mustangs and Cougars have never met on the gridiron, and SMU has not taken on a Pac-10 team since 1994, when SMU played at UCLA. With the addition of the series, SMU's non-conference slate is filled through 2016. In addition to the WSU game, SMU's 2009 non-conference schedule includes a game versus TCU in Ft. Worth (Sept. 26), as well as home games against Stephen F. Austin (Sept. 5) and Navy (Oct. 17). The Conference USA portion of the schedule is not yet finalized. HOUSTON, TEXAS (January 4, 2009) Rice women's basketball team (4-8) hosts George Washington (7-6) on Monday, Jan. 5, at 7 p.m. in Tudor Fieldhouse on the Rice campus. The Owls are 1-1 all-time in the series vs. the Colonials. Rice won the last meeting 67-54 in Houston. GW will seek its first road victory of the season against Rice after losing at #3 Texas A&M on Saturday 78-59. Rice freshman D'Frantz Smart leads Rice in scoring (13.6 ppg), assists (59) and steals (31). Sophomore forward Morgan Mayse and senior guard Maudess Fulton average 10.1 and 9.5 ppg respectively. Mayse leads the Owls in rebounding (6.1 rpg). San Antonio, Texas -- Melissa Wittmayer posted a career-high double-double of 12 points and 12 rebounds, but Rice could not overcome a 28-point first half deficit and fell to Texas-San Antonio by the score of 81-50 Saturday after at the Convocation Center on the UTSA campus. The double-double was the first of Wittmayer's Rice career. The center from Longview, Texas, also added a pair of blocked shots and an assist in a season-high 18 minutes of work. Like the Owls' most-recent game at Mississippi last week, a first half deficit on the road proved to be too much to overcome. Rice hit only three of their first 12 shots and UTSA was able to built an 18-7 advantage in the first eight minutes of action. The Roadrunners extended the margin to 20 late in the first half and finished the period holding a 47-19 lead on the strength of a 27-6 run. The Owls had their lowest first half point of the season on 21.2 percent shooting (7-of-33) and gave up 14 points off turnovers. The Blue & Gray settled down to play better in the second half with 31 points on 41 percent shooting (14-of-34) but the team still could not whittle-down the lead any further. UTSA maintained its steady scoring and four Roadrunners reached double-digit points on the day. UTSA was led by Guard Monica Gibbs' 17 points and 11 rebounds. Forward Onika Anderson's added a double-double of 14 points and 12 rebounds. Guard Whitney York chipped in 13 points with seven assists. Rice senior forward Emery Carter tied a season-high with 12 rebounds and scored eight points in the second half. For the game UTSA held a 55-45 advantage on the glass, including a 37-12 margin on the Owls' offensive side. The Rice Owls have started the same lineup in each of the first 12 games this season. D'Frantz Smart (g), Maudess Fulton (g), Tara Watts (g), Morgan Mayse (c), and Emery Carter (f) have started all 12 games for Greg Williams' Owls. D'Frantz Smart scored a team season-high 26 points vs. UT-Arlington and she also notched 20 points vs. UCLA. Smart dished out a Rice season-high 9 assists vs. UTA and she had 7 at Lafayette. In the Greg Williams era, Rice has racked up a 25-9 home record when playing on-campus. The Hanzen College product strung together back-to-back 11-3 marks in 2005-06 and 2006-07. Rice returned on-campus for the first time in 20 months and recorded a 76-55 win over Cal State Northridge to open Tudor Fieldhouse. Prior to the Baylor contest, Rice had won seven consecutive non-conference home games dating back to the 2006-07 season. The Owls won all three of its non-conference games a year ago against Arkansas-Little Rock (49-39), TCU (82-74) and Rider (66-65). Emery Carter is building on momentum gained towards the end of last season after sitting out the last 19 games of 2006-07 and first eight games of 2007-08. She starts the 2008-09 campaign without a knee brace. The Arkansas native scored a season-high 12 points vs. UT-Martin and had a season-high 12 boards vs. UTSA. Maudess Fulton scored a season-high 20 points in the Owls' win over Tenn.-Martin at the Ole Miss Holiday Classic. She also tallied 11 vs. Ole Miss in being named to the all-tournament team. Fulton has now scored in double-digits five times this season. She scored a career-best 27 points on 11-of-21 shooting at UCLA last year. Tara Watts has been in double-digit scoring three times this season. She poured in a season-high 20 points at Lafayette, while also scoring 13 vs. CS-Northridge and 10 at Hofstra. Watts is fourth on the team in scoring at 6.9 ppg and second with 16 three-pointers made. Melissa Wittmayer, sophomore, posted her first career double-double with 12 points and 12 rebounds at UTSA. She leads Rice with 10 blocks this season. Rice has put together an impressive 29-7 mark in the Greg Williams era when scoring over 70 points. The Owls surpassed the 70-point plateau five times last season, including wins over Cal State Northridge, TCU, and Tulane. Rice tallied 76 points in its season opener against Cal State Northridge. The Owls scored 72 in the loss against UT-Arlington and also scored 76 in the overtime loss at Lafayette. Over the last three seasons under head coach Greg Williams, Rice has notched a 35-5 record when holding its opponents to under 60 points. The Owls were 8-1 last season after winning 13 of their 14 decisions in 2006-07. Rice has started 2008-09 strong on the defensive end as the Owls sport C-USA third-best defense limiting opponents to 60.2 points per game and 38.8 shooting (112-of-289) from the floor. This year's edition of Rice freshmen class is as easy to remember as A-B-C-D. Amenemope McKinney tallied a balanced 9.2 points, 4.1 rebounds, 4.0 rebounds and 2.8 steals per game during her senior season at Bowie High School in Arlington. McKinney scored a career-high 12 points at Hofstra. Much heralded as the Texas 4-A Player of the Year, Brianna Hypolite eclipsed over 2,100 points, 1,500 rebounds, 300 assists and 300 steals over her career at Dickinson High School. Hypolite scored a career-high 17 vs. Furman (Nov. 25). Candace Ashford is Rice's newest edition to the post notching 9.3 points, 7.2 rebounds and 1.5 blocks at Plano West High School. Ashford tallied six points and six rebounds over 26 minutes against Prairie View A&M (Nov. 19). She also knocked down a pair of critical free throws with the Owls down by 3 with 1:52 remaining. D'Frantz Smart was runner-up Miss Illinois basketball after helping Chicago's Whitney Young High School to the state championship. She averaged 13.0 points, 4.0 assists and 2.0 steals per game. Since Rice joined Conference USA for the 2005-06 season, the Owls are the only program in the league to record multiple postseason bids under the current realignment.